Ambedkar Nagar is a small and peaceful district in the Faizabad Division. It was formed on 29th September 1995 and was named in the memory of Dr. Bhimrao Ramji Ambedkar, popularly known as Baba Saheb. He was an Indian Jurist, economist, social reformer and politician who inspired Dalit Buddhist Movement and campaigned against social discrimination. Ambedkar Nagar is situated at a distance of 180 Km from the state capital Lucknow and 60 Km away from Ayodhya the birth place of Lord Ram. To understand the need and demand of technology in today’s scenario the Government of Uttar Pradesh has taken various initiatives. 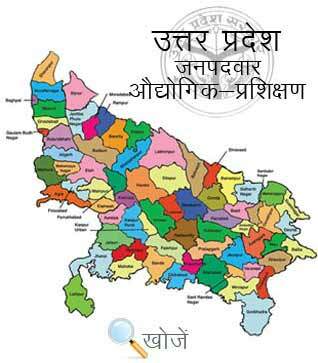 Ambedkar Nagar in Uttar Pradesh boasts some of the best Government Collages, Private Collages and Professional Institutes imparting education in Science, commerce, arts along with engineering and non engineering streams. Apart from this to impart technical education to the youth Ambedkar Nagar has three Industrial Training Institutes at Akbarpur, Tanda and Alapur that offers various engineering and non engineering courses to the students of duration 6 months, one year and two years. To enrol in various courses the students need to be xth passed with minimum age of 14 years. Vyavasayik Pareekha Parishad in the state of Uttar Pradesh is responsible for conducting the entrance examination of admission to various courses in ITI’s. The official site is www.vppup.in where students can check out the important notification dates, exam result, merit list, counselling dates etc. Apart from this students can also visit www.upiti.in which is an education portal which offers all the latest information like online downloading of application form, results, merit list, examination dates about UP ITI’s that saves your valuable time.